On the go? Now the Hamilton® CapTel® App goes with you. Place and receive captioned calls on a single device with our unique and innovative app for iPhone® and Android™ smartphones at no cost.1 Hamilton CapTel is compatible with many of the latest smartphones2 and tablets, on most wireless networks. Don’t have a smartphone? 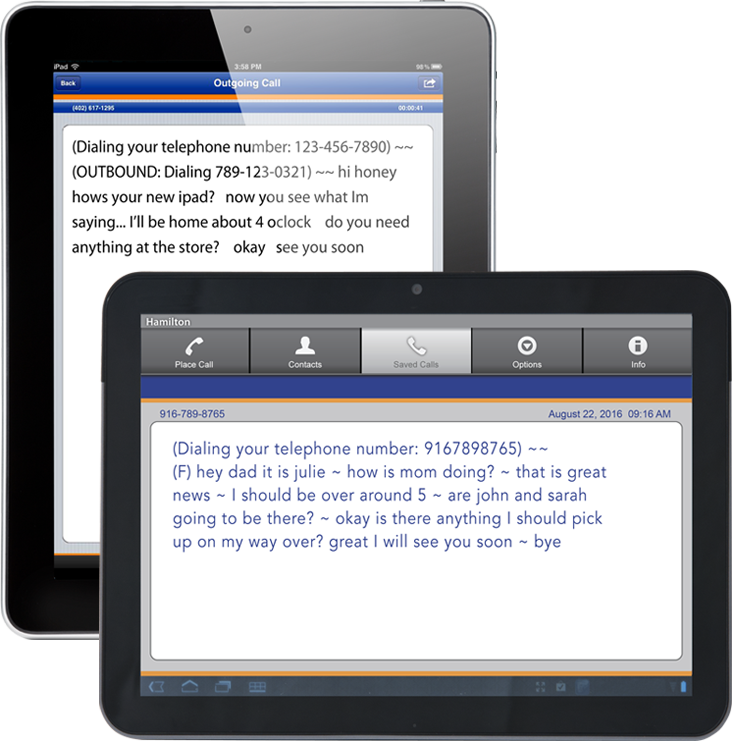 See every word a caller says on your iPad or Android tablet when using the mobile app in conjunction with any phone. Hamilton CapTel for Smartphones allows you to read captions of what’s being said during phone conversations while you listen and talk with people on the go! Similar to captions on a television, word-for-word captions of your conversation are displayed on your smartphone. Use your iPad or Android Tablet with any telephone (i.e. landline, office, mobile phone) to place calls with the Hamilton CapTel App. Captions of what’s said appear on the tablet screen while you listen and talk using your desired telephone. Not yet a registered Hamilton CapTel User? Register for a Hamilton CapTel account to ensure your mobile captioned calls are placed securely and accurately. This simple, one-time process will allow you to place and receive captioned calls any time you are logged in with Hamilton CapTel. After you download and install the Hamilton CapTel App, simply enter your Hamilton CapTel account information and you will be ready to make and receive calls immediately. The Hamilton CapTel Call Me # is one simple, smart solution for all your smart devices. 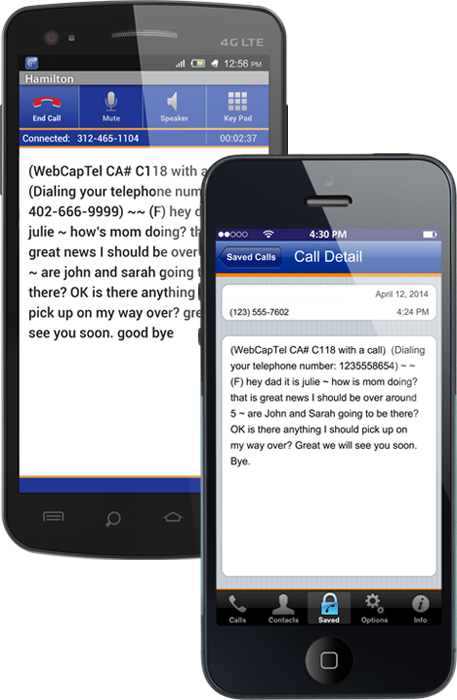 The Hamilton CapTel Call Me # is your personal phone number that makes it possible to receive captioned calls on your computer, Smartphone and Tablet. Share your Hamilton CapTel Call Me # with family, friends and businesses and answer your next call with captions on the smart device of your choice. 2Generally, Hamilton CapTel will work on Android™ Smartphones and the iPhone® running the latest publicly available operating system. There may be older versions that are no longer supported and, in some instances, current versions that are not yet supported. Please contact Hamilton CapTel Customer Care if you have any questions about the compatibility of your current version with Hamilton CapTel. 3Voice and data plans may be accessed when using Hamilton CapTel on a smartphone or tablet. Hamilton CapTel is not responsible for charges incurred with your wireless network for voice and data usage when using Hamilton CapTel. For usage concerns, contact your wireless network directly. Hamilton CapTel may be used to make 911 calls but may not function the same as traditional 911 services. Find out more information about the benefits and limitations of Hamilton CapTel and Emergency 911 calling.